The Generals face off against the Peterborough Petes tonight at the Tribute Communities Centre in the front half of a home and home against the rival team. 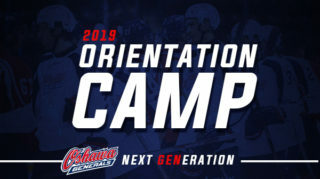 The Gens come into the contest with a 28-18-2-0 record on the season. Aiming to start off their three-game weekend on the right foot, Oshawa will look to get back into the win column with a two-point effort tonight. Tonight’s game will be the sixth time the Gens meet the Petes this season. So far in the season series between the two teams, the Gens have been on top with a 3-1-1-0 record in the first five matches. 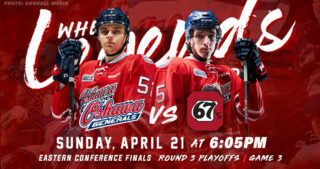 With the last meeting resulting in a 6-5 win on the road for Oshawa, the Gens will look to keep up their strong play against the Petes and secure their fourth win of the season against the divisional squad. 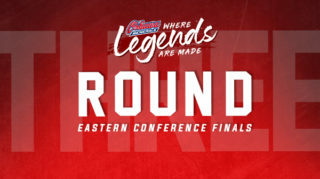 Despite a tough past weekend against the Knights and 67’s, the Gens remain in the top half of the eastern conference. Sitting at 58 points in 48 games on the season, the team holds second in their division and fourth place in the conference. Meanwhile, the Peterborough Petes find themselves in the middle of the pack in the eastern conference, claiming fifth place with a record of 24-22-1-1 on the season. With an eight-point difference between the two teams, the Gens will try to widen the gap and continue to climb further ahead of the Petes. 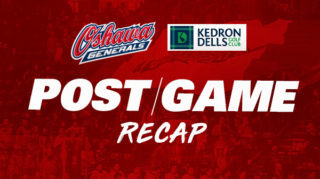 Two Gens players who had strong performances the last time the Gens met with the Petes in January include Allan McShane and Nicolas Mattinen. McShane exploded offensively in the 6-5 road victory, potting 2 big goals and adding 2 assists for a huge 4-point night. Keep an eye out for the forward to continue his impressive play against the rival team tonight. Defenseman Nicolas Mattinen also had a solid game, tallying 2 assists in what was his first game with the Generals. Look for the blue liner to be a force again tonight and help to lead the back end. 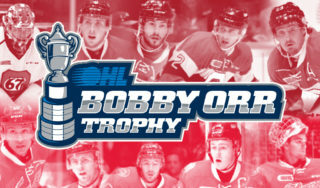 At tonight’s game, Oshawa Senior Citizen Centre will be doing a pass the bucket in the 2nd period! The funds raised will go towards the OSCC to continue to deliver quality, efficient and effective programs and services to the growing number of older adults aged 55+ in Oshawa and the surrounding community. Head to the Tribute Communities Centre tonight for a 7:35pm puck drop to catch all the excitement as the Gens battle the Petes! 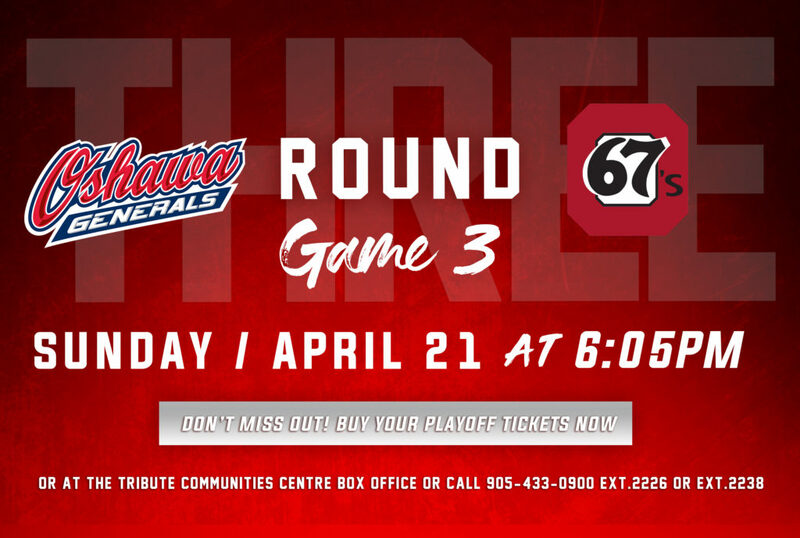 After tonight, the team will head to Peterborough for the back half of the home and home with the Petes before returning home to host the Sault Ste. Marie Greyhounds on Sunday.